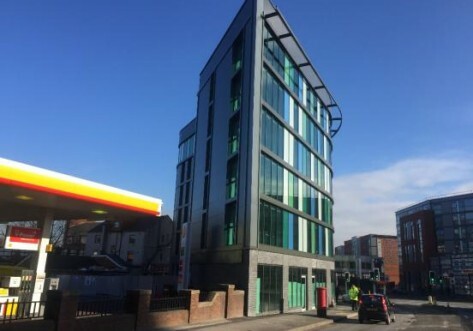 Star Residence offers a range of affordable, luxury new build student accommodation converted out of the historic Sheffield Star print works building, in a fantastic central location to suit all budgets. Based on York Street it is close to Sheffield Cathedral and immediately accessed off the main retail pitch of Fargate. Stand outside of Boots The Chemist or the Nero coffee shop on Fargate and you see the secure entrance to Star Residence between the Santander bank and Lloyds Bank. It is very central and offers quick, safe and easy access to both Universities and the other attractions Sheffield has to offer. 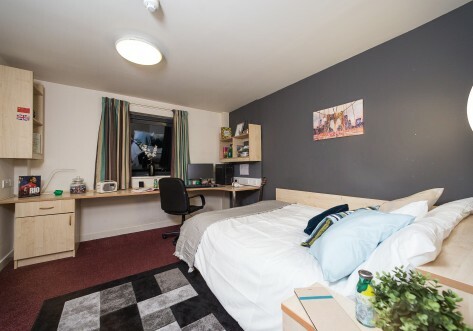 Star residence is perfectly located in the city centre, less than 10 minutes walk to Sheffiled Hallam University or only 15 minutes stroll on a direct route to University of Sheffield. For those in a rush the tram stop is a stones throw from the entrance at The Cathedral tram stop and gets to Sheffield University in 3 stops or just 6 minutes. Sheffield Hallam University in really too close to use the tram, but you get there in 7 minutes if that is your preference. 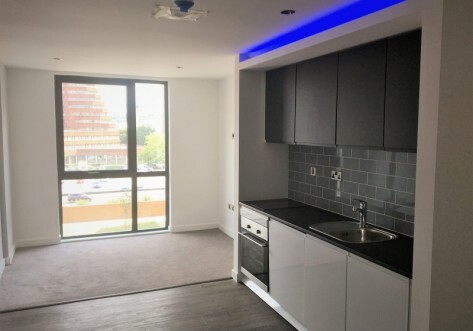 Whatever you’re looking for in your luxury student accommodation, Star Residence can provide it and we have a wide range of apartment options to suit every need, from private studio apartments with personal kitchen and your own living space, to apartments to share ranging from 4 to 9 bedrooms. All of our rooms come with a newly-fitted en-suite and have plenty of storage; your shared kitchen and lounge has a beautiful, fitted kitchen with microwave, hob and refrigerator and there is up to 200Mbps superfast internet right throughout the building. A security and key-holding service ensures you are secure and protected while you’re at uni, and the on-site facilities at Star Residence for you to enjoy include a cinema, a gym/fitness suite, games room, and a common room to socialise with friends. Star Residence is situated right next door to the beautiful Sheffield Cathedral, so many of our rooms enjoy a historic view over the city. It’s moments from the beating heart of the city, a thriving and exciting student area with a wealth of bars, restaurants and shops and you have everything you could need on your doorstep. Star Residence’s excellent location and high-specification apartments mean that they’ll be snapped up fast. Can you afford to miss out on staying here? – contact us today to book your room. Sheffield is a vibrant student town – full of bars, clubs, restaurants, cafes and shops both high-street and boutique. Whether you want to eat, drink, shop or just wander one of the most historic cities in the UK, Sheffield is perfect for you. Star Residence is situated right across from Sheffield Cathedral, and just a few minutes’ walk away from the high street. 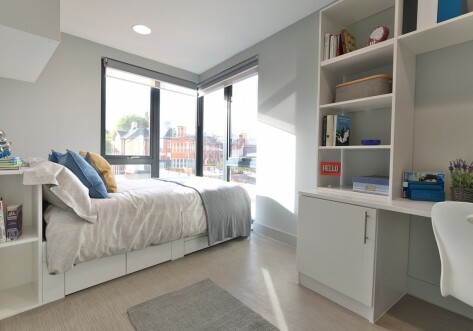 It’s also only 15 minutes walk from the University of Sheffield campus, and only 11 minutes walk from Sheffield Hallam University, so if you’re the sort of student who sleeps in, you couldn’t be in a more convenient location! Get in touch today to make a booking – before they’re all gone! Situated on the ground floor, this modern ensuite bedroom measures around 15-18m² and comes with a double bed, study area, stylish ensuite bathroom and wardrobe. The shared area includes a spacious lounge and kitchen area. You'll also enjoy access to the gym and fitness suite, common room, cinema and games room. Situated on the higher floors, this modern ensuite bedroom measures around 15-16m² and comes with a double bed, study area, stylish ensuite bathroom and wardrobe. The shared area includes a spacious lounge and kitchen area. You'll also enjoy access to the gym and fitness suite, common room, cinema and games room. Situated on the lower ground floor, this modern ensuite bedroom measures around 16-21m² and comes with a double bed, study area, stylish ensuite bathroom and wardrobe. The shared area includes a spacious lounge and kitchen area. You'll also enjoy access to the gym and fitness suite, common room, cinema and games room. Situated on the higher floors, this modern ensuite bedroom measures around 15-18m² and comes with a double bed, study area, stylish ensuite bathroom and wardrobe. The shared area includes a spacious lounge and kitchen area. You'll also enjoy access to the gym and fitness suite, common room, cinema and games room. Situated on the higher floors, this modern ensuite bedroom measures around 20m² and comes with a double bed, study area, stylish ensuite bathroom and wardrobe. The shared area includes a spacious lounge and kitchen area. You'll also enjoy access to the gym and fitness suite, common room, cinema and games room. Situated on the lower ground floor, this modern ensuite bedroom measures around 33m² and comes with a double bed, study area, stylish ensuite bathroom and wardrobe. The shared area includes a spacious lounge and kitchen area. You'll also enjoy access to the gym and fitness suite, common room, cinema and games room. The Classic Studio measures around 21-25m². The studio and comes with a double bed, dining area, ample storage, mirror, study desk and chair and modern kitchenette with fridge-freezer, microwave oven and hob. This studio also has a fully fitted en-suite containing a large shower and stylish fittings. You'll also enjoy access to the gym and fitness suite, common room, cinema and games room. The Premium Studio measures around 23-25m². The studio and comes with a double bed, dining area, ample storage, mirror, study desk and chair and modern kitchenette with fridge-freezer, microwave oven and hob. This studio also has a fully fitted en-suite containing a large shower and stylish fittings. You'll also enjoy access to the gym and fitness suite, common room, cinema and games room. The Deluxe Studio measures around 25m². The studio and comes with a double bed, dining area, ample storage, mirror, study desk and chair and modern kitchenette with fridge-freezer, microwave oven and hob. This studio also has a fully fitted en-suite containing a large shower and stylish fittings. You'll also enjoy access to the gym and fitness suite, common room, cinema and games room.